Electronic Lessons, along with an open phone line for consultation and discussion, are available. Click here to request more information. 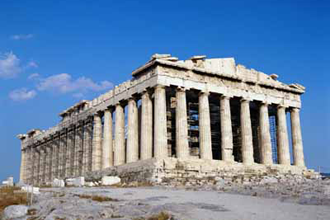 This book is designed for the intermediate student and it is ideal for someone who wishes to increase and expand his/her knowledge of the language by reading, translating, and sharing the experiences of a Greek-American family. The short lectures on renowned people and places will fascinate you. 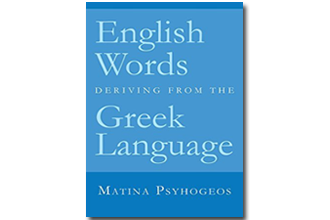 This book has been expanded and revised with this issue in order to intensify the progress of the beginner, to respond to the many changes in the Greek language and to incorporate new vocabulary that has been introduced and it has become part of everyday communication. 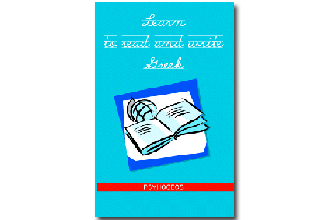 The prose and poetry were carefully chosen and adapted in order to inspire the reader and kindle his/her interest to study more, become fluent in the Greek language, get acquainted with the Greek literature and get motivated to read it further. The book helps you master what you learn and comprehend the grammatical elements that are used throughout the interactive dialogues. 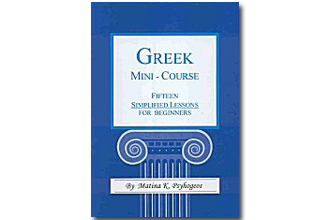 The set is excellent as an entity or as a companion to the “Greek Mini-Course, for Beginners” or to the book “Learn to Read and Write Greek”. 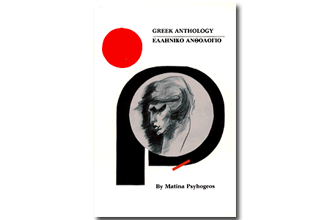 This is the course that The Psyhogeos Program is based on. It is an intensified course of study, yet the techniques and principles of the curriculum are presented in such a simple manner that makes it very easy to follow. Everything is presented in a cumulative progressive way.